Inspired by (the northern lights) crackling energy and it’s beautiful/delightful light we created our brand Norrsken Jackets. With great know-how on designing and producing top quality jackets, we have put our soul into a new collection of jackets adapted for the conscious woman who wants to be trendy and warm every day. It reflects the Scandinavian expression of natural clean and striped design. Our goal is to make the jackets function seamlessly as part of its design. Pure and neat, without effort! We want to offer you the optimal jacket that warms in everyday situations. In town, work, at the playground or the party, our jacket must keep the measure in every condition. Norrsken Jackets, created by women for women! We want to give back to the strong women who, like Norrsken, the northern light, spread energy and strength. Our first collection will launch in autumn 2018, and we will help you make a smart and conscious choice by focusing on selling the jacket online. Through this, we own the whole flow, and it is a way to streamline our joints and cut prices without sacrificing design, quality, sustainability or our environmental and social responsibility. 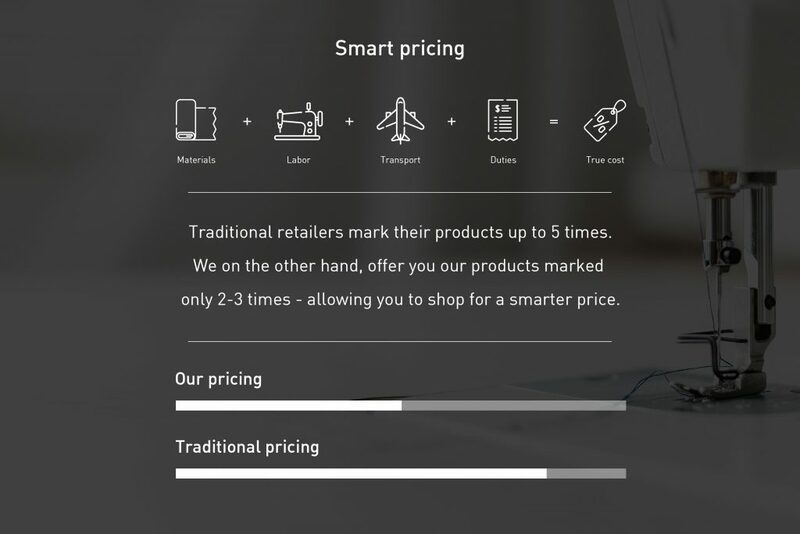 We call this a smart price when others called it affordable, we want whatever you call it, to make you understand that you can not compare price as before.